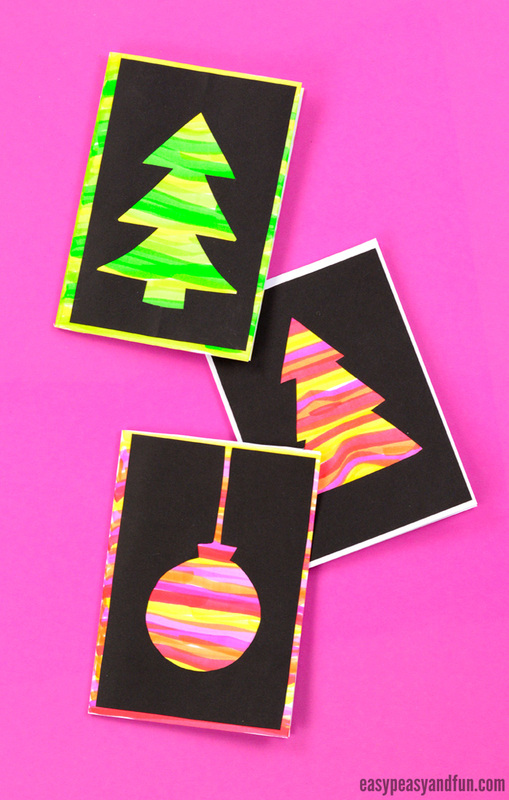 These DIY silhouette Christmas cards just might be my favorite homemade cards this year. So bright and colorful and there are a tons of ways you can personalise them. Great art project for a classroom too, as these can be very open ended when it comes to creating. Handmade cards are the best! 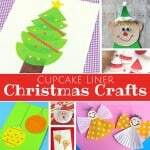 They are great fun for all ages, kids and kids at heart alike and everyone enjoys receiving a well thought out and unique homemade Christmas card. This particular one is crazy easy to make and will turn out gorgeous each and every time. 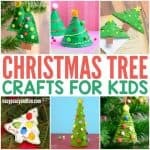 As it’s super simple it’s a great project to make with toddlers (let them decorate and you be the one assembling), preschoolers, kids in kindergarden and older kids. The older, the more of the process they will be able to make on their own. 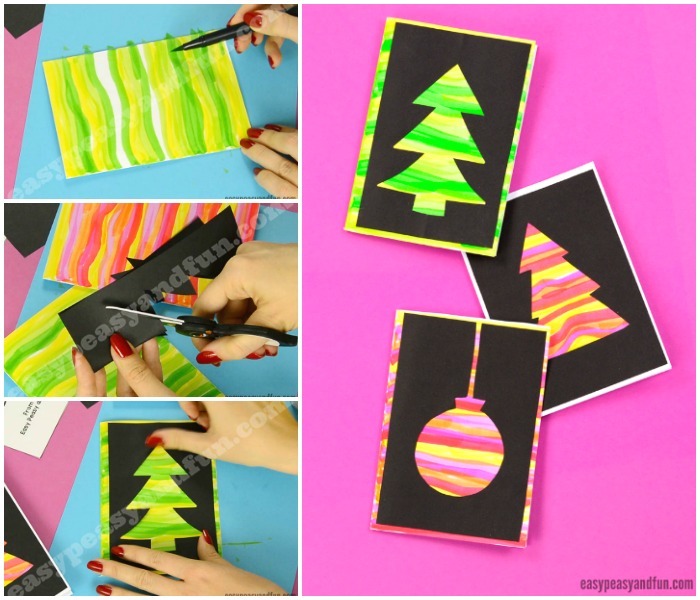 There are many different ways you can make the base of the card, I’ll talk about them a bit later, so this one really is perfect to make in the classroom for kids to make a gift for their parents and family. Ready to start making your own? Let’s get crafting! For decorating the base a number of materials can be used – watercolors, scrap paper, crayons, finger-paints, paints, stamps… You name it! Offer your kids a variety of coloring supplies and let them decorate their base however they see fit. 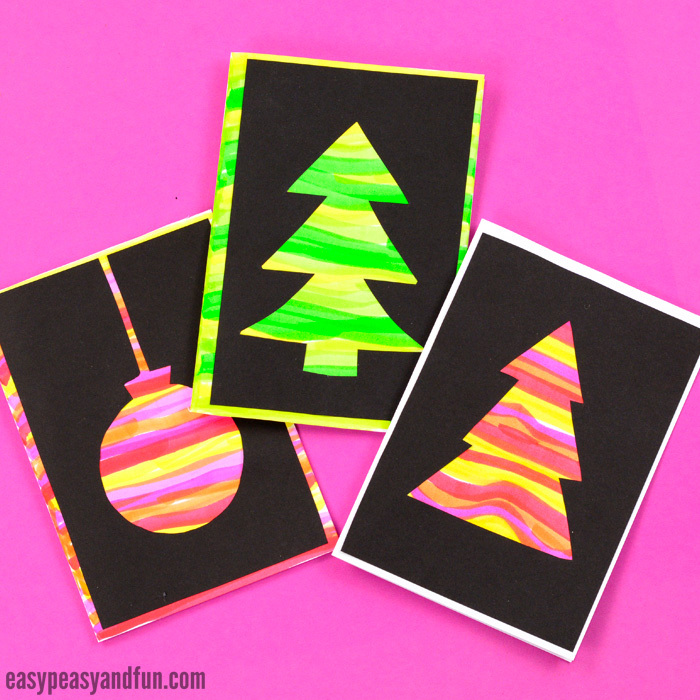 To make the cards even more festive, you can also use glitter glue or gemstones to add shiny accents. Fold the sheet of white paper in half. This large format is perfect for younger kids. 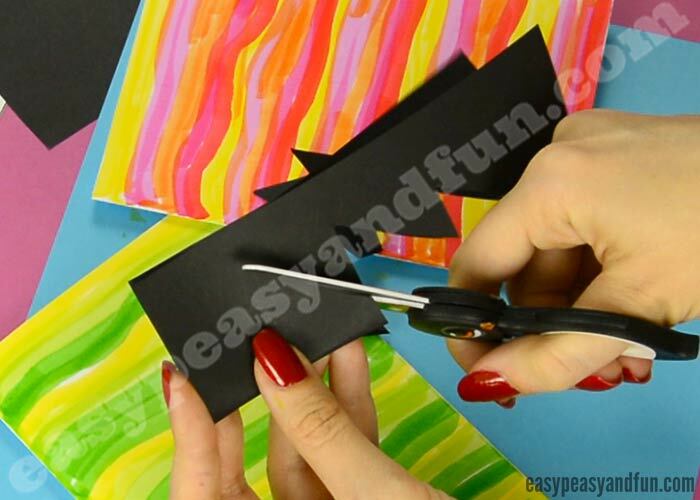 For older kids, cut the sheet of paper in half, and fold those in half – one sheet of paper will make 2 cards. Any other dimension is perfectly fine too. Color your cards hovewer you see fit. Get as creative as possible! I decorated mine with a “ombre” look-ish, alternating different matching colors with brush markers. Cover the whole surface (or leave white around the edges). 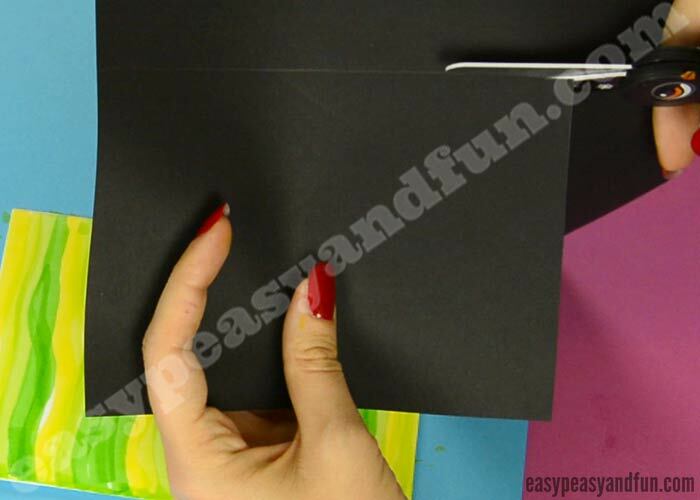 Place your card on top of a sheet of black paper and trace around it with a pencil. Cut out the black rectangle. 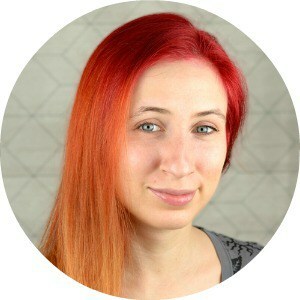 Trim it down a little, both in width and length. This will make the edges of the base card show, and will add a nice visual effect to the card. 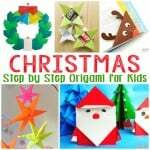 Cut out a festive shape out of black paper. 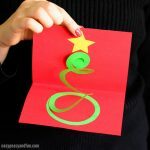 Gently fold it in half (don’t crease) and cut out a Christmas tree shape. This should be easy for most kids, for younger kids you will have to prepare this step. Apply glue on the back of the black paper. Glue it on top of your card. 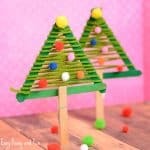 Another shape that’s easy to make is the Christmas bauble. Trace around a round object, draw a straight line and a small rectangle shape on top of the circle shape. 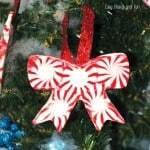 Cut out the bauble – no need to fold this one as you will cut the hanging string.